If you or a loved one has been injured in an accident, had a work injury, or suspect nursing home abuse, you may be wondering what steps you should take to protect your rights. Contrary to popular belief, most insurance companies and even employers don’t have your best interests in mind if you file a claim for benefits. Instead, they might try to deflect blame or minimize your injuries and damages so that they won’t have to pay for a costly accident. If you were injured at work or hurt due to the negligence of another party, you might be entitled to such things as medical care, lost wages, disability payments, and pain & suffering. If you don’t have a lot of experience with the legal system, hiring an Alabama personal injury attorney can be intimidating. It’s often difficult to know where to start or what to expect. The Law Office of Gary W. Fillingim, L.L.C. provides every new client with a free initial consultation. This is your opportunity to sit down with our knowledgeable legal staff, discuss your case, and make some decisions about protecting your rights and pursuing compensation for your injuries. Our office will schedule a consultation at a time that best fits into your schedule. In order to make the most of your consultation, here are several things that you need to know before you sit down with Gary. When you meet with an attorney, even for the first time and even if you don’t hire that attorney, it’s important to understand that anything you say is covered by attorney/client privilege. This means that the attorney cannot repeat what you tell them. For the sake of your case, it’s vitally important that you be completely open and honest about every aspect of your case. 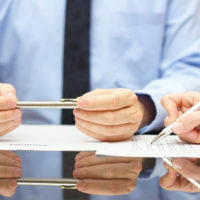 This is the only way that a true evaluation of the merits of your case can be performed. How many cases like mine have you handled in the past? Of those, how many did you win? Will you personally handle my case or will it be passed along to another lawyer? How long does a typical case like this take to conclude? Is my case subject to any time limits for filing suit or settlement? If you decide to hire our firm, you’ll need to sign some paperwork that gives us the right to collect relevant paperwork on your case and to speak on your behalf with the courts. Our cases are handled on a contingency fee basis, which means that we are only paid if we recover compensation for your injuries. Once all of the paperwork is covered, our experienced and knowledgeable legal team will begin work on your case. During your consultation, your attorney will also map out the next steps in your case and list any additional actions or documents needed from you to move the case forward. 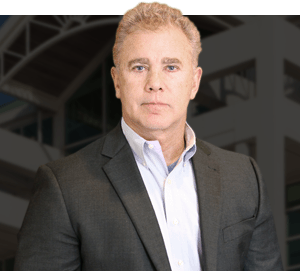 If you’ve been injured in an accident, call Attorney Gary Fillingim at the Fillingim Law Office and speak with a knowledgeable and dedicated Mobile Alabama personal injury lawyer. The consultation and evaluation are always free and we never charge you anything until we recover for you. Don’t wait, call us now for your free evaluation at 251-445-7257 or visit us at Fillingimlaw.com.